The only time in the world that you ever want to get asked to show your ID is your 21st birthday. And for some odd reason, that is the day you are least likely to get asked. It's just the way the cookie crumbles sometimes. 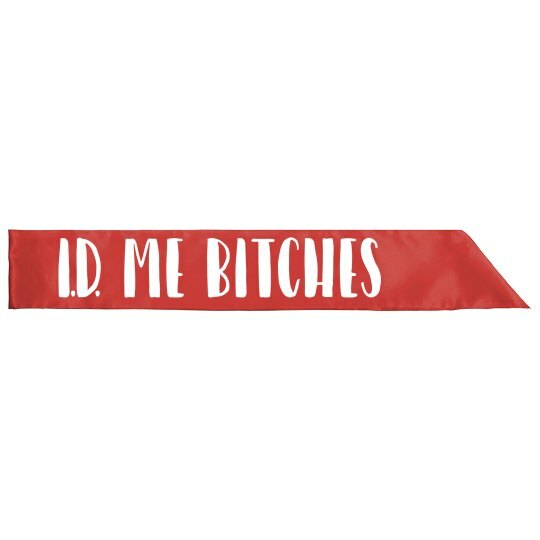 Celebrate your birthday in style, so everybody knows that you want to be asked for your ID, wear this awesome sash. This will also increase your chances of getting free shots throughout the night. Happy Birthday!